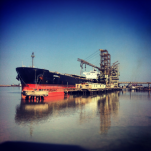 EAME has just been awarded a major environmental and social baseline study in relation to a Port Master Plan. EAME has been appointed by the Japanese International Co-operation Agency (JICA) which is funding the project. The project will involve conducting a detailed water quality survey (including field sampling and laboratory analysis) and an extensive sediment quality survey (including field sampling and laboratory analysis) within the Shatt al-Arab Waterway and the Qamat Ali Canal in Iraq. 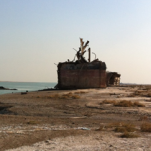 EAME is uniquely placed to offer services in this area after successful completion of numerous Environmental Baseline Surveys (EBSs) within Southern Iraq. EAME have had a number of photographs included in the United Nations Economic and Social Commission for Western Asia (UN-ESCWA) document ‘Inventory of Shared Water Resources in Western Asia’. The Inventory of Shared Water Resources in Western Asia is the first UN-led effort to comprehensively assess the state and evolution of transboundary surface and groundwater resources in the Middle East. Developed in close consultation with ESCWA member countries, the inventory boasts 9 surface water and 17 groundwater chapters that systematically address hydrology, hydrogeology, water resources development and use, international water agreements and transboundary water management efforts. Please visit http://waterinventory.org/ for more details. 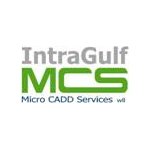 EAME and Intragulf MCS, a Bahrain-based survey company, have entered into a joint venture as our combined disciplines and resources offer significant benefits to our Clients. These include reduced costs and working with an integrated team from a number of disciplines with significant experience of working in the Middle East. The joint venture has already been successful in a number of projects. Intragulf MCS offer a full portfolio of related services and technologies to “Capture, Integrate, Model and Manage” a Client’s infrastructure and assets. Their scope of activities includes Specialised CAD Services & Compliance, Plant & Facility Surveys, 3D Laser Scanning, Modeling, Visualisation & Simulation, Mapping and GIS. Intragulf MCS specialised 3D Laser Scanning work allows them to capture highly accurate and detailed information about Client assets, whether this is for land Surveys, 3D Digital Terrain Models, 3D Plant / Building Models, GIS or Topographic Maps. Data can be published into formats to suit client requirements, whether this is as built, engineering documentation, or 3D animations and fly throughs for visualisation and simulation.